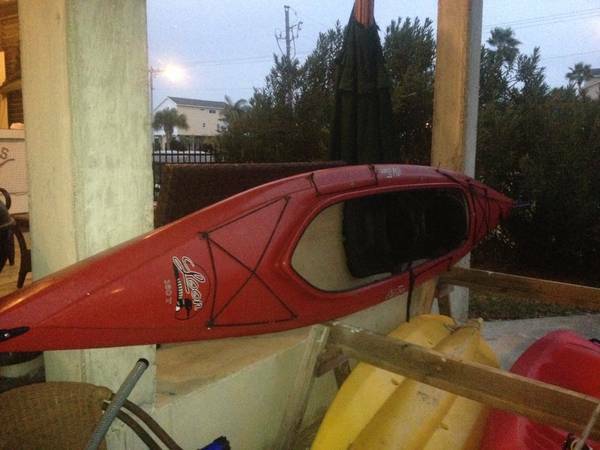 Great condition kayak, has been our family favorite. Selling this because my daughter is old enough to go on a single. Lots of storage room for cing trips, adjustable seat positions, paddles included. This one is NOT the ruddered version. Old Town Loon Kayak 160T 16 Tandem 2Person Red. Barn kept in great condition.